Why does this world exist? Why have billions of people been born, lived and died over the centuries? Is there any purpose or plan behind all of it? 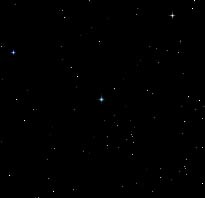 Are we alone in the universe? Is there a God? … or at least “Someone” out there in control? Is chance our only fate? When is the world going to end? Or will the cycle of life continue endlessly? For centuries mankind has has asked himself these eternal questions. Why was I born as an individual? Who am I? Why am I here on planet earth? Where did I come from (or did I possibly exist in a previous life?) Where am I going—if anywhere—after I die? If you sincerely and honestly would like answers to these questions, you have come to the right place. 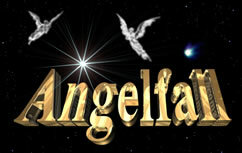 Welcome to Angelfall.com and Angels.org and Angels.net —the website that answers the eternal questions. And a whole lot more. For the first time in history there are going to be some solid and provable answers to these questions. And they will be answered in spectacular fashion—in a way that no one ever dreamed of. And most importantly, in a manner that can actually be proven—mathematically—in a scientific laboratory—conclusively and beyond any reasonable doubt. Angelfall reveals why this world exists and why each person has been born. It essentially explains why everything that is happening, is happening. It will also reveal who YOU really are as an individual. This is a huge site. One that will eventually take you days, perhaps weeks to fully read, comprehend, and digest. There is nothing else on the entire World Wide Web even remotely similar to Angelfall. You have arrived at something very unique that invites your special attention. So be prepared to make this your home on the Web for a long time. Once you begin to see the significance of these recent discoveries, everything else out there will seem shallow and pale in comparison, especially all the crud on the Internet. Why? Because we will be dealing—directly—with the very Mind, thoughts, and deep emotions of the Creator of the universe. We will discover the basic facts behind the core of our existence and eternal destiny as humans. Hidden inside the Bible text is a mathematical code that will reveal the answer to life's big question. 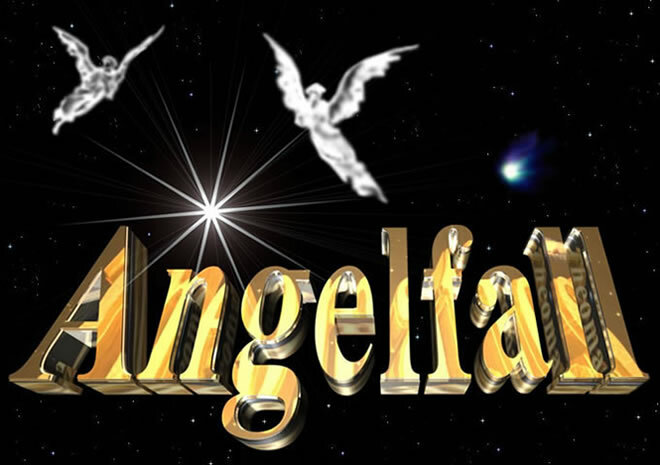 Angelfall.com is the culmination of over twenty years of Bible code research—literally thousands of hours of careful and painstaking analysis. It does not promote any one religious persuasion or sectarian view. It will prove that ALL religion is inherently false—God’s mind and intellect smiles on no one belief system (and then frowns on everybody else). All of man’s attempts at determining truth are futile. Truth is completely independent of man’s logic or way of thinking. We must look outside all humanistic resources and religious persuasions in order to discover the true facts behind our human existence. (with over 100,000 hits per month). This site will scientifically prove that God wrote the Bible. Yes, Christianity is the one and only true religious framework. But much of what Christians believe is full of mistakes, false conclusions, and worse. No theologian or Bible scholar has the complete picture by any means. Nobody has ever seen or understood the master plan of the universe. Yet what is contained on this website will quite literally open the “window of heaven” and give you a major part of the BIG picture—why this world exists and why you were born. The answer will astound you. If you are a person who is discouraged about life in general (and just plain fed up with having to live in this evil world); or if you have had to face a lot of personal disappointments and tragedies in your own life and wondered "Why Me? "—the message contained here will bring you tremendous peace, comfort, and assurance. Furthermore, If you are a person who loves God; or you sincerely want to know about God; this website will fill your heart with great joy and happiness. It will quite literally change your entire life—forever! The more you read, study, and comprehend, the more convinced you should become that the mother lode of truth has been discovered. But be forewarned. Unless you have the right heart attitude and thought pattern (think correctly), none of this will make sense or penetrate deep into your soul. Before you begin, you must take all of your preconceived biases and prejudices—any “ideas” you may have about God, religion, truth, and reality—and cast them from you as far as you can throw them. In other words, get rid of the intellectual stumbling blocks. Shake loose your personal ideas and notions. If your mind is made up about life, if you are a cynical person, then this is definitely not the place to be. Here, you will be forced to take a completely different world view of everything to do with life on earth, the universe, and God. Here you will be forced to admit that—indeed—Somebody out there actually knows everything and has all the answers. Here is where you, along with the rest of the human race, will finally be allowed to see the true facts of reality. “Verily I say unto you, Whosoever shall not receive the kingdom of God as a little child shall in no wise enter therein” (Luke 18:17).